Swag looks best from the front. The gloss of label shirts hide the torn backside. Place all the dust and wear behind you, Just above your dirty exposed unders. Hat hides the unkempt and unplanned. Shades keeping you for looking at yourself. Its all a front you cant come back from. Crochet Gear for Under $20 Bucks! I make things! In crochet form. I'm busy making orders, applying for Eastern Market's Farmers Market, and doing shows with Droopy. What that means is, I haven't had time to update recent photos of the pieces I've been making. 😦 Here are some of my favorite pieces that are all under $20 Mint and Cream … Continue reading Crochet Gear for Under $20 Bucks! Crochet Tuesday Update! An episode for all the folks getting back to work! For all the homie's returning to work from the furlough! Back story: Park Triangle Productions created a show called "No Strings, Please" and it's a very awesome show... follows the story of a young lady who moves from Brooklyn to DC. She cuts all ties with everyone, but the strings seem to always connect themselves … Continue reading Crochet Tuesday Update! An episode for all the folks getting back to work! Howdy! So those who are fans of my Facebook Page may have noticed a nice chunk of new pics on there. I with me just getting my laptop up and running and returning from comic-con) I have only barely gotten the chance to update, edit, and post material. Here's a taste of what you can … Continue reading Projects I’ve just finished! #CKMonthlyDeal – October – Double Wide Infinity Scarves!!! Only $30 for a Limited Time! If you have liked the Dwayne B! 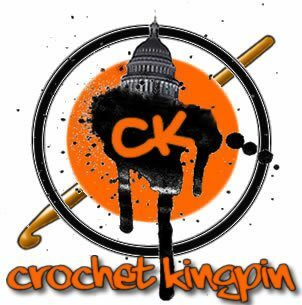 page on facebook, then you may already know about #CKMD - the Crochet Kingpin Monthly Deal! If you order and/or pay for the deal during the month, you get crazy discounts! So why should Facebook have all the fun! This month the monthly deal is on Double … Continue reading #CKMonthlyDeal – October – Double Wide Infinity Scarves!!! Only $30 for a Limited Time!